This three-minute excerpt is posted here by permission of the producers, Andrew Lyman-Clarke, Editor/Distribution Associate, Witness Films, 802-578-3625. The film was directed and the interview was done by Philip Singer, Ph.D. See http://www.witnessfilms.com/documentary. If you would like to purchase the hour-long documentary interview with Professor Szasz, go to http://www.witnessfilms.com/documentary. It is definitely worth purchasing the hour-long film. These film makers are first rate. This is the only official Szasz site. It was created, constructed, and produced by Jeffrey A. Schaler, Ph.D. with the permission and guidance over the course of many years from his close friend and colleague, Professor Thomas S. Szasz. This site was given to Dr. Schaler by Dr. Szasz. All rights reserved. Reproduced with the permission of Jeffrey A. Schaler. All rights reserved. Thomas Szasz and Jeff Schaler suggest that visitors to this site read the following summary statement as a manifesto...a summary statement of Dr. Szasz's work and ideas. Please note: Neither Thomas S. Szasz, MD, nor Jeffrey A. Schaler, Ph.D., are "anti-psychiatrists." We both believe in psychiatry between consenting adults. We are opposed to institutional psychiatry and coercion. We are not opposed to contractual or consenual psychoanalysis, psychotherapy, or counseling, what have you, as long as the designated client is able to fire his or her therapist at any time. Obviously we do not consider drugs as medicine for behavior. If people want to take drugs to control the way they think, feel, behave and perceive, by all means they should be free to do so. See Szasz's important work: Antipsychiatry: Quackery Squared, published by Syracuse University Press, Syracuse, NY, 2009. See the review by Dr. Ron Roberts in The Freeman, September 22, 2010. It is my hope that I will establish a "szasz blog" here on the site, for contributions and discussions. If God talks to you, you have schizophrenia. --Thomas S. Szasz, The Second Sin, Anchor/Doubleday, Garden City, NY. 1973, p. 113. It takes an iconoclast with temerity and acumen to illuminate how unexamined myths and metaphors insidiously determine prevailing norms -- norms considered unassailable and sacrosanct by the prevailing medical/legal system. For decades, Thomas Szasz has publicly challenged the excesses that obscure reason. The Medicalization of Everyday Life offers a no-nonsense perspective on prevailing dogma. It is only through clear vision that intelligent choices can be made. Required reading for all professionals in health care fields, and all those who are subject to their unwitting prejudices. A powerful and fittingly impassioned indictment of psychiatrists who use coercion to "treat" patients by the psychiatrist who has done more than anyone else to challenge psychiatry to abandon the destructive use of force and replace it with consent, trust, and adherence to the Hippocratic injunction to "do no harm." Several interesting and outstanding events and activities are occurring as Grand Rounds at the Department of Psychiatry, Upstate Medical University. This year kicks off a sincere appreciation and CELEBRATION of Thomas Szasz's remarkable life and contributions to liberty and responsibility. Many colleagues were and are privileged to call themselves close friends of Tom Szasz (with apologies to Bill Clinton . . . ). It was a great honor for me to be invited by Professor Chaitanya Haldipur, and former chair of the psychiatry department at Upstate Medical University Professor Mantosh Dewan, to give the first Grand Rounds lecture in honor of Tom on Thursday, February 13, 2014, at 12:30pm, at Upstate Medical University in Syracuse, New York. The title of my talk was: Games Psychiatrists Play . Mantosh gave an equally beautiful appreciation of Tom at the start of our symposium in honor of Tom's eightieth birthday in Weiskotten Hall, years ago. When it comes to appreciation and introductions, no one speaks more eloquently and more sincerely than Mantosh. What a wonderful person. It was a full house on Thursday, February 13, 2014, when I spoke after lunch at 12:30pm. You are welcome to read the handout I gave to those who attended my talk, again, an invited lecture for Grand Rounds, "kicking off the year of celebrating their beloved Thomas Szasz" in a series of forthcoming Grand Rounds. I enjoyed seeing many of the friends I made at the celebration and symposium Nelson Borelli, MD, of Northwestern University Medical School, and I put together in honor of Tom's eightieth birthday. See the 80th birthday program and symposium in Tom's honor here. Another important Grand Rounds gathering was scheduled for August 8, 2014. "Celebration of the Life and Work of Thomas Szasz" Save-The-Date, Pre-registration is Required, Friday, August 8, 2014, Everson Museum, in Syracuse, 8am to 3pm - reception to follow. Contact Cassandra Read (readc@upstate.edu) if you want to attend. Travel to Syracuse to attend this historic gathering. Register NOW! Location is Hosmer Auditorium of the Everson Museum of Art, 401 Harrison Street, Syracuse, New York. 8:00am to 3:00pm. Reception to follow from 3:00pm to 5:00pm. For further information, please contact Linette Thorp at (315) 464-3104, or, by email at thorpl@upstate.edu. This event is free, but pre-registration is required. Registration deadline is August 6, 2014. See the program here. Here is an outstanding essay originally published in Current Psychology a peer-reviewed international quarterly journal, entitled "On Being Sane in an Insane Place: The Rosenhan Experiment in the Laboratory of Plautus' Epidamnus," December 2013, Volume 32, Number 4, pp. 348-365, by Professor Michael Scott Fontaine, Department of Classics, Cornell University. For more about Current Psychology see the greeting by the new Editor-in-Chief Professor Richard Ferraro. Readers here and elsewhere may be interested in reading the special issue I published and co-edited with my late colleague University Professor Rita J. Simon entitled entitled "Anti-Semitism the World Over in the 21st Century,"Current Psychology DOI 10.1007/s12144-007-9012-8. Michael was a friend of Tom's, and Michael and I quickly became friends when he contacted me out of the blue and showed me the essay he had written. I was bowled over, as was Professor Emeritus Chaitanya Haldipur when I sent it to him for review. Michael is a terrific writer. For a Professor of Classics at Cornell to grasp the significance and relevance of Rosenhan and Tom's work is phenomenal. I was then working on the last issue of Current Psychology as Editor-in-Chief the past eight years. I imnmediately included it, after it was instantly accepted by two other colleagues of mine in the peer-reviewed process, (I finished my eight year tenure as Editor-in-Chief of Current Psychology effective December 31, 2013.) Note: Professor Michael S. Fontaine is the featured speaker for "Grand Rounds," sponsored by the Department of Psychiatry at Upstate Medical University, Syracuse, New York, on September 11, 2014 from 12:30-2:00 pm. Dr. Fontaine will discuss this article, and share some of his experiences with Thomas Szasz. Szasz read Michael's article before it was edited and published by myself. Tom praised Michael for what he had written. This is a terrific essay, written by an outstanding Professor of Classics at Cornell. I STRONGLY encourage you to attend what is sure to be an enlightening lecture. Michael took me out for a memorable lunch at the Moosewood Restaurant, where we also indulged in a couple of equally strong margaritas, in mid-afternoon . . . ! Report on The Celebration of the Life and Work of Thomas Szasz sponsored by the Department of Psychiatry at Upstate Medical University August 8, 2014 by Michael S. Fontaine. Here is an excellent essay I used in college classes for many years. Interestingly. those on the political left opposed to capital punishment, always asserted that capital punishment was "too easy" for the guilty defendant. They consistently wanted defendants found guilty of murder to suffer throughout out the course of their lifetimes, via life imprisonment. They opposed the death penalty because they though the guilty defendant was not suffering enough. To my way of thinking, this reveals the sadistic nature of their their rationale. Too many faculty at American University wanted sadistic murderers to suffer over the course of their lifetime, and not have their suffering ended quickly via a death penalty. See Fifty Years After The Myth of Mental Illness. And this is the preface for the new edition of The Myth of Mental Illness. February 23, 2010. "The myth of mental illness: 50 years later," Psychiatric Bulletin, SPECIAL ARTICLES. (Note: This paper was delivered as a plenary address at the International Congress of the Royal College of Psychiatrists in Edinburgh, 24 June 2010. "'Freedom is more important than health': Thomas Szasz and the problem of paternalism," Special Paper by Joanna Moncrieff, rebuttal entitled "The legacy -- or not -- of Dr Thomas Szasz (1920-2012)," by Trevor Turner. International Psychiatry, 2014, 11, pp. 46-49. 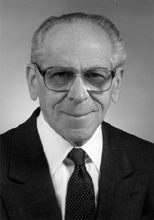 Thomas Szasz, MD: Philosopher, Psychiatrist, Libertarian," By Eric v.d. Luft, Ph.D., M.L.S., Curator of Historical Collections, Health Sciences Library, Alumni Journal, Summer, 2001, pp. 9 - 12. AND the Journal of the American Medical Association BOTH published reviews of the book simultaneously. (See more reviews here.) Praise also came from George Annas for Szasz Under Fire: The Psychiatric Abolitionist Faces His Critics, edited by Jeffrey A. Schaler, published by Open Court Publishers, Chicago, 2004: "Anyone who has ever had qualms about the state giving psychiatrists the power to use drugs and civil commitment to control its citizens on the basis of 'mental illness' will be deeply rewarded by this stellar intellectual performance by Szasz, who not only holds his liberty-centered ground, but often gains more in direct and sometimes brutally frank responses to his critics and would-be reshapers of his life's work." Faith in Freedom: Libertarian Principles and Psychiatric Practices wins the Laissez Faire Books "Lysander Spooner Award for Advancing the Literature of Liberty!" See, this by Tom Szasz entitled "Killing to be Kind"
See the Szaszian debate with Dr. Jeffrey A. Schaler and Jacob Sullum on one side, and Allen Frances, MD, Editor-in-Chief of the DSM (Diagnostic and Statistical Manual of the Mental Disorders), published by the American Psychiatric Association, Washington, D.C., and University of Maryland Baltimore Law Professor Amanda C. Pustilnik, on the other side. This is a great debate, sponsored by the prestigious Cato Foundation, and moderated by Editor: Jason Kuznicki. Cato Unbound is a forum for the discussion of diverse and often controversial ideas and opinions. The views expressed on the website belong to their authors alone and do not necessarily reflect the views of the staff or supporters of the Cato Institute. Although we may not know it, we have, in our day, witnessed the birth of the Therapeutic State. This is perhaps the major implication of psychiatry as an institution of social control. --Thomas S. Szasz, Law, Liberty, and Psychiatry: An Inquiry Into the Social Uses of Mental Health Practices, The Macmillan Company, New York, 1963, p. 212. "Perhaps most radically ... Thomas Szasz deemed mental illness a mythic and monstrous beast, and proclaimed that 'mental illness' was a fiction. Insanity, he has continued ever since to claim, is not a real disease, whose nature has been progressively scientifically unveiled; mental illness is rather a myth, forged by psychiatrists for their own greater glory. Over the centuries, medical men and their supporters have been involved, argues Szasz, in a self-serving 'manufacture of madness.' In this, he indicts both the pretensions of organic psychiatry and the psychodynamic followers of Freud, whose notion of the 'unconscious' in effect breathed new life into the obsolete metaphysical Cartesian dualism. For Szasz, any expectation of finding the etiology of mental illness in body or mind -- above all in some mental underworld -- must be a lost cause, a dead-end, a linguistic error, and even an exercise in bad faith. 'Mental illness' or the 'unconscious' are not realities but at best metaphors. In promoting such ideas, psychiatrists have either been involved in improper cognitive imperialism or have rather naively pictorialized the psyche -- reifying the fictive substance behind the substantive. Properly speaking, contends Szasz, insanity is not a disease with origins to be excavated, but a behavior with meanings to be decoded. Social existence is a rule-governed game-playing ritual in which the mad person bends the rules and exploits the loopholes. Since the mad person is engaged in social performances that obey certain expectations so as to defy others, the pertinent questions are not about the origins, but about the conventions, of insanity. In this light, Szasz dismisses traditional approaches to the history of madness, as questions mal post and aims to reformulate them." --From: Porter, R., "Introduction," in Porter, R. and Wright, D., eds.,The Confinement of the Insane: International Perspectives, 1800-1965 (Cambridge: Cambridge University Press, 2003); pp. 1-19; p. 2. The Abolitionist Archive The Szasz Site is produced by Dr. Jeffrey A. Schaler as a public service. Copyright 2007-2025 by the author of each page, except where noted. All rights reserved.